The baby boomers are approaching their golden years, which will significantly change the role that the elderly play in our country. In fact, the 85-and-older population is projected to increase 351 percent between 2010 and 2050. The increasing numbers of this population creates an opportunity for savvy fitness professionals. 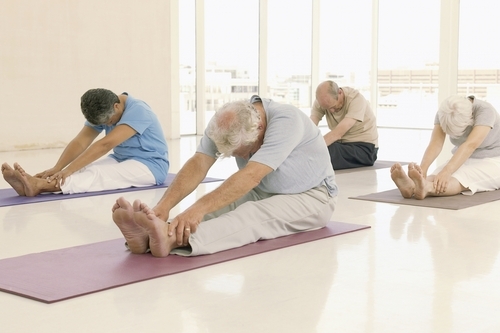 Use these tips to make your gym friendlier to seniors. Offer educational opportunities that will help older clients reach their specific goals. In your later years your clients may not have the same fitness motivations as their counterparts. Make sure you know what those goal are, sometimes things as simple as being able to stand up and sit down unassisted, and provide classes or training sessions that will focus on those fitness milestones. Offering a Par-Q test will help determine client’s readiness for a particular activity. Offering a mini-session to warm up muscles and joints before jumping straight into exercise is a great way to support a smooth workout. These classes can be helpful for older customers whose bodies cannot rebound from a strained muscle as quickly as your younger clients. This time can also be used to monitor clients and make sure they are not experiencing any discomfort. Aerobic and strength training at a moderate level can be great ways to increase physical health of your clients. Offering aerobic and strength training can increase the body’s range of motion which helps balance and reduces fluidity to joints. Since muscle strength progressively declines after the age of 50, all weight and cardio training should be done with lighter weights. Taking the time to find a comfortable level for your clients is important and weight should be increased as their muscles gain strength.